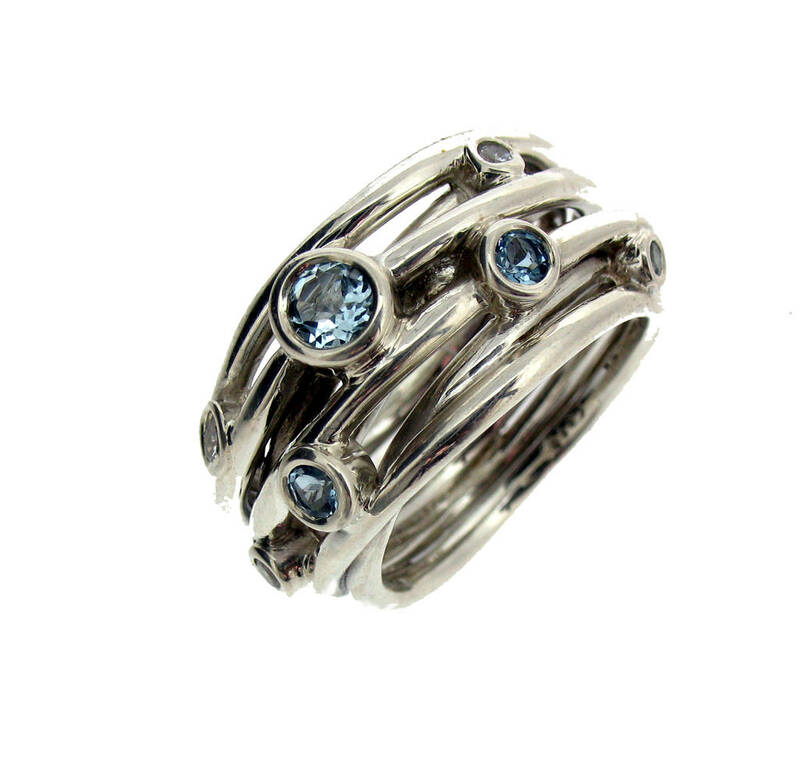 Beautiful handmade sterling silver coil ring dotted with aquamarines and cubic zirconias. 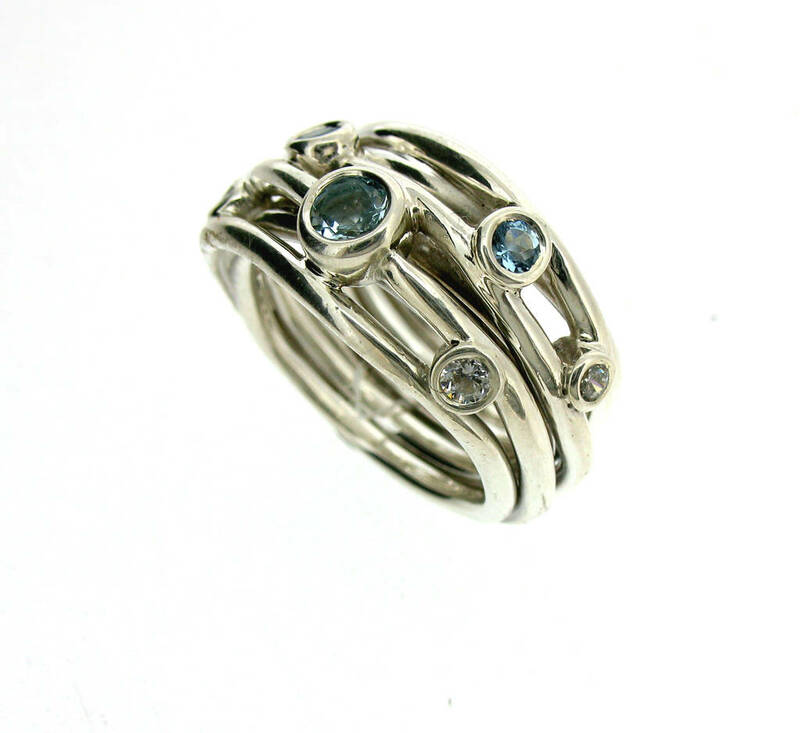 Sterling silver with aquamarines and cubic zirconias. 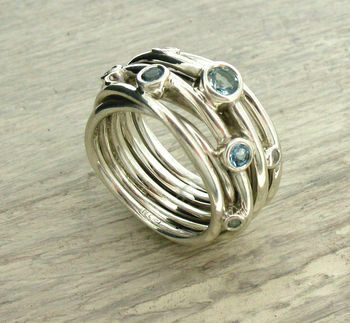 The rings are all individually handmade so may differ slightly. 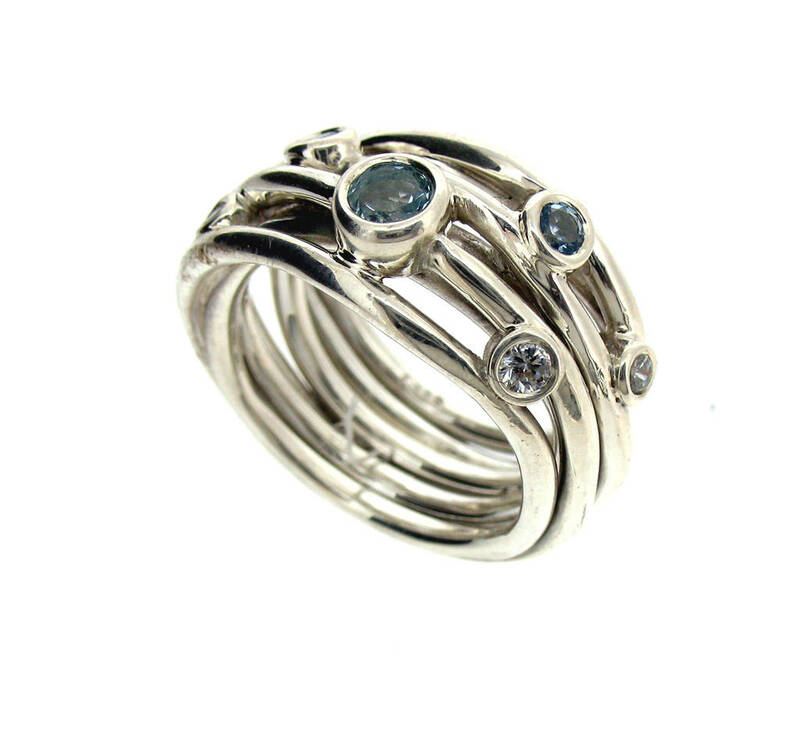 There are approximately 4 aquamarines and 3 cubic zirconias. The largest aquamarine is 4mm round and the smallest is 2mm round. The ring is approximately 10mm wide at the back and 12mm wide at the front.